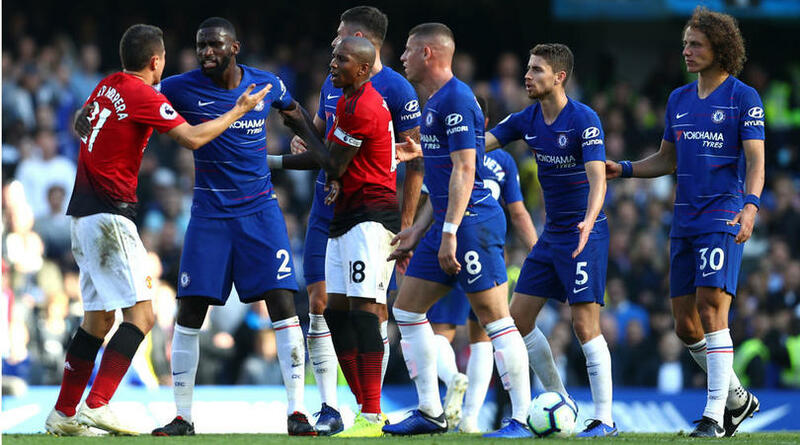 German defender Antonio Rudiger has put the late fracas between Manchester United and Chelsea staff down to emotions after the frantic 2-2 draw at Stamford Bridge. Anthony Martial’s double looked to have secured the points for United, but Ross Barkley’s goal in the final minute of six added on denied Jose Mourinho a win at his former stomping ground. ‘I don’t know [what happened],’ Rudiger told Sky Sports. ‘I just saw the benches standing up, and I was like “what, a fight?”. ‘But it is emotions, it’s just football. I didn’t see anything on the pitch. But that’s football. Barkley’s equaliser marked a second goal in as many club games for the midfielder, who is in form after a difficult start to life at Stamford Bridge last season. ‘Yes, my confidence is growing,’ Barkley, who started twice for England during the international break, told Sky Sports. ‘Our target was to get the three points, so it’s disappointing, but to stick in at the end and get the draw, we showed great attitude at the end.